There’s perhaps no better indicator that we are living in the technology age than Smart gadgets infiltrating the kitchen. Whether they are little conveniences or big-ticket items, the chef in every home can benefit from the devices that help improve cooking, storage and food preparation. These are some of the next generation kitchen items that are making life a little easier and homes a tad more valuable. This big-ticket Samsung line has definitely taken refrigeration to the next level. It features a touchscreen that you can connect to with handheld devices to connect with your unit. One of the key features is that it enjoys an embedded camera and you can literally look at what is on your shelves while shopping for the evening meal. The days of being one ingredient short are over. But beyond the shopping aid, the Family Hub lets you know when food is expiring, provides recipe suggestions, plays music and can utilize an Internet of Things method of ordering items for you. The Smart fridge has all the bells and whistles that can help improve your quality of life. Star Trek: Next Generation fans may recall Capt. Jean-Luc Picard ordering tea by simply saying “Earl Grey, hot.” The days of voice-activated meals may be closer than you think. The latest lines of Smart ovens are integrating WiFi and connecting to recipe apps as well as that friendly home bot Alexa. Amazon reported that Alexa will be integrated into the kitchen and laundry room going forward. Several lines of Smart ovens on the market are already set up for tech-oriented homes. This Smart kitchen trend is likely to be popular with Millennial homebuyers who are flooding the real estate market. The sometimes-forgotten toaster oven could be making a comeback in a huge way. Some of the new lines, such as Breville’s Smart Oven and Smart Oven Pro could double for a full-sized unit. Reviews on the brand tout the device’s ability to cook a 13-inch pizza or 14-pound turkey. But the next generation aspect of these Smart ovens are things such as the “air fry” capabilities. It also features 13 pre-programmable cooking options including dehydrate. Those college dorm room days of crumb-filled toaster ovens heating up pre-cooked frozen foods are last generation. Tech buffs often see 3-D printers as the device that could make the largest difference in terms of machinery and even ending hunger. The 3-D technology has been put to use making amazing and artistic pancakes of all shapes and sizes. You simply program it with a computer image to create the pancake design you desire, pour in the batter and serve. The next generation of Smart kitchens are shifting the way home cooks function. In terms of property values, integrating Smart technologies appear to be highly sought after and can be a difference-maker in home sales. 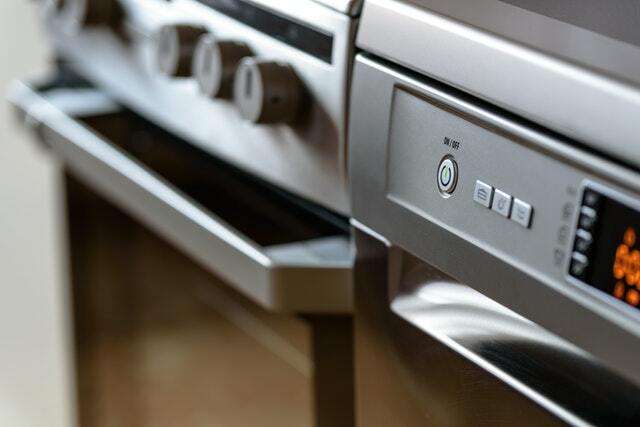 If high-tech kitchen gadgets are on your list of must-haves, be sure to let your trusted real estate agent know so they can help you find the right home for you.